Over the course of the next few months I hope to be able to create a complete set of revision notes – time permitting of course. The ones I have produced in the past have proved highly popular with demands for more of these to be produced. At the moment I only have a couple…but please watch this space! 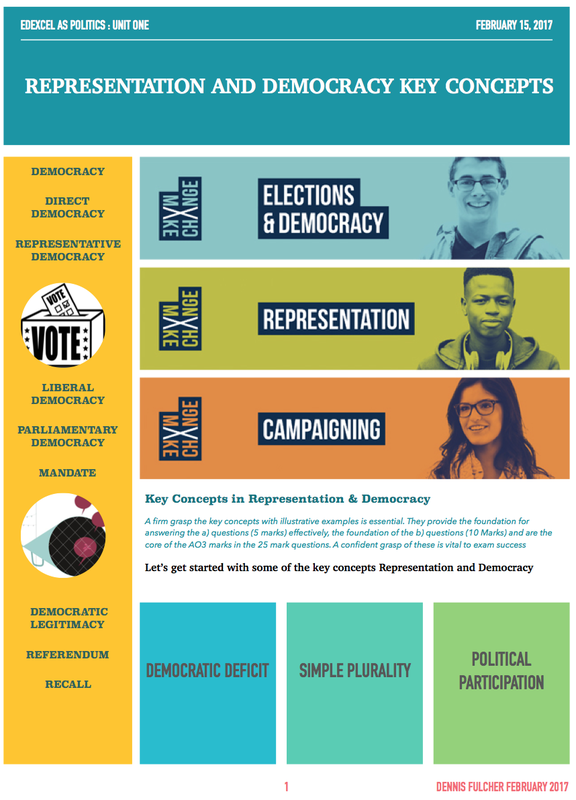 Here’s the first of the new ones on Key concepts in Representation and Democracy.